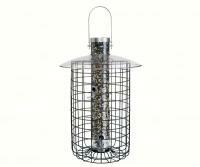 A cage bird feeder is ideal for preventing squirrels or large nuisance birds from swiping your bird seed--some of them are so tough they even keep out bears! 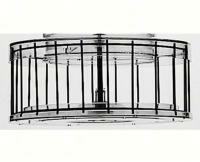 Constructed from either wire or mesh, a cage bird feeder can be purchased in a variety of stylish designs, from slender peanut feeders to large wire cages. 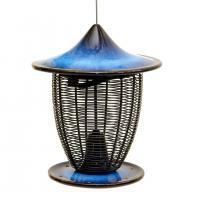 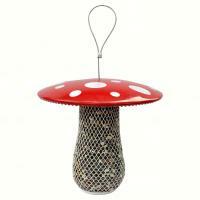 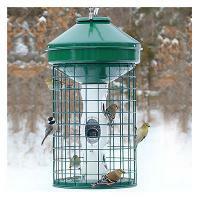 A cage bird feeder will attract both clinging and perching birds. 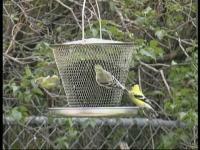 They are typically easy to clean--some are even dishwasher friendly--and can serve up to 20 birds at once. 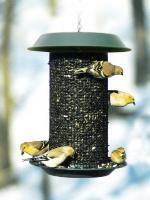 A cage bird feeder can hold many different kinds of seed, which means it has the flexibility to attract a number of bird species. 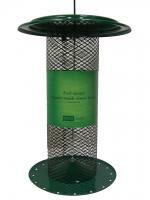 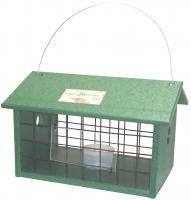 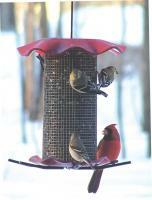 If you want more information on cage bird feeders, call our knowledgeable customer service team. 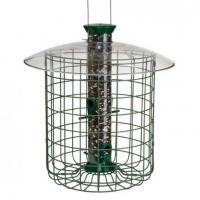 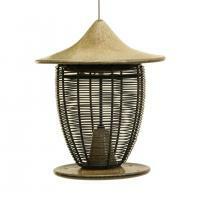 They'll be happy to help you decide if a cage bird feeder is the right purchase for your backyard. 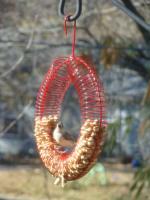 I really like this birdfeeder. 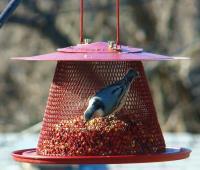 It holds a lot of seed, and allows the woodpeckers and other clinging birds to feed. 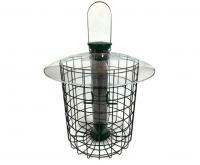 HOWEVER, unfortunately, the squirrels love this feeder too. 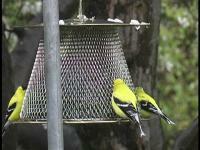 It allows them to display their acrobatics, and hang upside down to fill their bellies.